Featuring a rooftop swimming pool, bar and restaurant, Radisson Blu es. Hotel Roma is located just opposite Rome’s Termini Station. It offers air-conditioned accommodation with free Wi-Fi. The en suite rooms at Radisson Blu are stylish and spacious. They all include satellite flat-screen TV and a minibar, while some feature a balcony and a Nespresso coffee machine. Radisson Rome’s Zest and Sette restaurants, located on the top floor, offer gourmet cuisine and a mix of Italian and international dishes. The Radisson's wellness area includes a spa and gym, while the business centre features a number of fully equipped conference rooms. The hotel is 100 metres from the AirTermini entrance to Termini Station, where trains leave for Fiumicino Airport. It is a 5-minute walk to Vittorio Emanuele Metro which takes you to the Spanish Steps in 4 stops. Free Wi-Fi and spacious, air-conditioned apartments are offered at Residenza Maxima, 2.5 miles from Rome's historic center. Located in the Monteverde District, buses to the city pass nearby. Set in a renovated villa with a garden, the Maxima has an elegant style. The apartments are simply decorated and have a TV and a private bathroom with hairdryer. The residence is a 5-minute drive from Villa Doria Pamphili Park, one of the largest in Rome. The vibrant district of Trastevere, is a 20-minute walk away, and Trastevere Train Station has direct links to Rome Fiumicino Airport. The 4-star Hotel Mozart features elegant accommodations in Rome’s center, just around the corner from the main shopping street, Via Del Corso. It has free Wi-Fi and a roof garden with views of Rome’s rooftops. Rooms combine classic-style décor and furniture with modern amenities such as an LCD TV with satellite and pay-per-view channels. Some rooms face the main street, and others overlook the internal courtyard. In the morning, a rich breakfast buffet is available. This includes traditional Italian coffee, along with fruit pies, freshly baked croissants and homemade pastries. A free internet point is available in the hotel’s lobby. Mozart Hotel is a 5-minute walk from the Spanish Steps and Spagna Metro Station. In 10 minutes by foot you can reach the Trevi Fountain. Park Hotel Dei Massimi is in a quiet, residential area of Rome. It features free parking, and a free scheduled shuttle to the Vatican and Ottaviano Metro Station, on line A. The rooms come equipped with air conditioning and satellite TV. Some rooms have a private balcony. Sony Playstations are available upon request. Free Wi-Fi is available in the lobby. Every day Park Hotel Dei Massimi serves a large buffet breakfast. The hotel also features a bar and a restaurant that serves Italian and international dishes. The hotel is surrounded by a park and has a panoramic view of Rome. A local bus stop is just a few minutes away by foot. Just 220 yards from the Roman Forum and a 5 minute walk from the Coliseum, Hotel Nerva is in central Rome. It serves a varied continental breakfast and its rooms feature a 22” LCD TV. Each room at Nerva Hotel comes with air conditioning and satellite TV channels. They feature elegant wood furniture and have a private bathroom complete with a hairdryer and toiletries. At breakfast, you have a wide choice that goes from traditional croissants and cake, to fresh fruit, cold cuts and cheese. The hotel’s bar serves local liqueurs, classic cocktails and snacks and is open until 1 am. Free Wi-Fi access is provided in the bar and lobby areas. The multilingual staff is available 24 hours a day. They can help organize city tours and airport shuttles. A 5 minute walk takes you to Piazza Venezia and the shopping street Via Del Corso. Augusta Lucilla Palace features elegant and air-conditioned rooms with flat-screen satellite TVs and free Wi-Fi throughout. 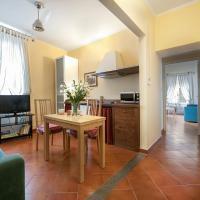 It is in central Rome, a 5 minute walk from both Repubblica Metro Station and Termini Train Station. The rooms have private bathrooms and come with carpeted or parquet floors. Some feature unique tapestries, paintings, and a sofa for 2 people. In an 18th-century building, the Augusta Lucilla has a 24-hour front desk and a bar. A buffet breakfast is served every day. Just a few steps from the hotel you will find Rome's Opera House. From Termini Metro Station, there are direct services to the Spanish Steps, the Vatican and the Coliseum. The luxurious InterContinental De La Ville has a stunning location at the top of the Spanish Steps. It offers panoramic views out over Rome from its terrace on the sixth floor. Rooms come with a marble bathroom and classic furniture. All air conditioned, they also feature Wi-Fi access and an LCD TV with satellite and pay-per-view channels. A newspaper is delivered to your door each morning. InterContinental De La Ville Rome is right in the heart of Rome. A short walk down the Spanish Steps leads you to the exclusive designer shops along Via Condotti. Spagna Metro Station allows you to reach Vatican City and Termini Train Station in just 5 minutes. La Piazzetta Restaurant has a pretty courtyard and serves Italian cuisine with specialties from every region. There is live music in the piano bar and you can enjoy a cocktail on the terrace overlooking St. Peter's Basilica. On a shopping street a 5-minute walk from Castel Sant'Angelo and the Vatican, Hotel Florida provides comfortable, well-priced rooms. The staff takes pride in ensuring you have an unforgettable stay. Housed in one of the elegant early 20th-century buildings typical of the Prati area, Hotel Florida's rooms come with air conditioning and satellite TV. Superior rooms have LCD TV. Buses stop right outside this charming little hotel and will take you across the Tiber to Rome's historic center. In the evening guests can enjoy a walk downriver to the lively Trastevere district, well-known for its restaurants and bars. The quiet area surrounding Hotel Florida provides great shopping during the day and is perfect for dining out or enjoying a delicious ice cream in the evening. This former monastery overlooks a peaceful courtyard where the American buffet breakfast is served each morning. Hotel Ponte Sisto is in central Rome, 350 metres from Campo de’ Fiori. Rooms here are modern and elegant, with plenty of space. All air-conditioned, they include satellite TV, a minibar and free Wi-Fi. Each bathroom has a hairdryer and toiletries. During warm weather, breakfast can be enjoyed out in the courtyard with a fountain, palm trees and lots of tables and chairs. There is also a bar and a 24-hour reception where staff can organise excursions around the city and provide useful tourist information. Ponte Sisto Hotel is less than a 10-minute walk from Piazza Navona and 500 metres from the tram and bus stops in Largo Argentina. The characteristic Trastevere district is just across the Tiber River, while the Pantheon and Trevi Fountain are around 15 minutes away on foot. In a large green park located only 6 miles from the center of Rome, Castle Hotel has been completely renovated and offers free Wi-Fi and an elegant atmosphere. With your own car, it is easy to reach the center of the city. Saxa Rubra Station, a 10 minute bus ride away, has direct services to Rome's Piazza del Popolo. All rooms of Castle Hotel are equipped with all amenities necessary for a comfortable, satisfying stay. The hotel also offers private parking, a swimming pool, a bar, a meeting room, and room service available 24 hours a day. The Seven Kings offers modern rooms with free Wi-Fi. It is a 5-minute walk from Repubblica Metro Station, and 10 minutes from Roma Termini Train Station. Free coffee, tea and biscuits are available all day. Rooms at the Seven Kings Relais are new and quiet. Standard features include air conditioning and a flat-screen TV with satellite channels. Staff will help you with information on the city, including restaurant and sightseeing suggestions. In an elegant building just a 15-minute walk from both the Trevi Fountain and the Spanish Steps, Hotel Ranieri has spacious rooms with air conditioning and satellite TV. A buffet breakfast is served every morning and can be brought to your room. Room service is available for lunch and dinner, with typical Roman dishes. Hotel Ranieri's bar is open 24 hours a day, and guests can relax with a newspaper or use the the free Wi-Fi internet in the lounge. Buses stop just outside Hotel Ranieri and Barberini Metro station is just a quarter mile away, and Termini Train Station is reachable by foot in 10 minutes. Just a short walk will take you to Via Veneto, one of Rome's most exclusive streets. Hotel Hollywood is a few steps from Termini Train and Metro Station, with quick services to the Spanish Steps and Vatican Museums. It has air-conditioned rooms, free Wi-Fi in public areas, and 24-hour front desk. All rooms at the Hollywood Hotel have classic-style décor, with a TV, safe and fridge. Breakfast is buffet style. The hotel is a 15-minute walk from the Colosseum, in a very lively district. The surrounding area has many public transportation services, allowing guests to reach any part of the city. Rose Garden Palace is next to the American Embassy in Rome, a 5 minute walk from the public gardens of Villa Borghese. Its spa center includes a pool with hydro-massage features and gym. The spacious rooms are all soundproof and come with free Wi-Fi and satellite TV with international channels. An buffet breakfast is available each morning for an extra fee and can be enjoyed outside in the hotel's rose garden. The restaurant serves traditional Italian dishes that can be enjoyed out on the terrace in warm weather. The Rose Garden Palace offers a sauna and a range of massages. The staff can provide tourist information and book tours of Rome. The popular shops and restaurants of Via Veneto are just 220 yards away. Barberini Metro Station is a 10 minute walk away. 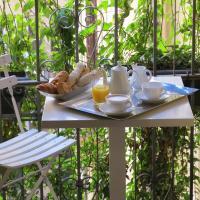 Hotel Verona Rome is located a few steps from the Basilica of Santa Maria Maggiore. You can walk to both Roma Termini Train Station and the Coliseum. Rooms are elegant and air-conditioned. Each room features a private bathroom with shower and hairdryer, tiled floors, and classic furniture. Breakfast is a varied buffet, with sweet and savory food. Drinks and snacks are served in the small garden with decorative fountain. The Verona Rome is a family-run hotel. The staff is available around the clock to assist you with renting vehicles, booking guided tours, and any needs you might have. Located near the Colosseum and the Roman Forum, the Valeri is a small boutique hotel in a historic building. It offers modern air-conditioned rooms, a delicious daily breakfast, and free Wi-Fi in public areas. Rooms are decorated with calm colors and modern furnishings. Each has a flat-screen satellite TV, minibar and fully equipped private bathroom with bathtub or shower. Some rooms have a furnished balcony or patio and a large bathroom. Set on Caelian Hill, one of the famous Seven Hills of Rome, Hotel Valeri is a 5 minute walk from St. John Lateran's Basilica. It is a 15 minute walk to the Imperial Forum and Trajan’s markets or San Giovanni Metro Station on line A. A welcoming and qualified front desk and concierge staff can provide useful tourist and travel info. If traveling with children, the hotel will provide facilities to heat bottles and food. After check-out, guests may leave bags at the hotel until the expected departure time. Perhaps the most luxurious and spacious suites in the historic center of Rome, the Margutta 54 is just a few minutes from the famous Spanish Steps. After the movie, Roman Holiday, came out, Via Margutta became a popular residence for many famous people including the movie director himself, Federico Fellini. Today it continues to attract many local and international artists. This stylish and exclusive area features many art galleries and fashionable restaurants, and provides easy access to Rome's major sites. In a private courtyard, the Margutta 54 studio suites is surrounded by art galleries, antique dealers and auction houses.They are superbly designed and furnished with all modern comforts. At the Margutta 54, you will also enjoy the services of a concierge from 8 am until 8 pm, who will assist you during your stay. Domus Borgognona is in a quiet, elegant street leading off from the Spanish Steps. Guests enjoy friendly, personalized service and free Wi-Fi in this homey bed and breakfast. Domus Borgognona's charming rooms come with LCD satellite TV, air conditioning and minibar. Marble bathrooms have hydro-massage showers. Free breakfast will be brought to the room from 7 am until 12 pm. The Spagna Metro is just a 2 minute walk away. The streets close by the Domus are famous for their designer shops. Vatican Holiday is a modern B&B right next to Ottaviano Metro Station, a 5-minute walk from The Vatican. Rooms come with free Wi-Fi, air conditioning, and an LCD TV. The Vatican Holiday Bed and Breakfast is set in a historic building in the charming neighborhood of Prati in central Rome. Guest rooms include a minibar and a stereo. Bathrooms have either a shower or a hydromassage bathtub. Enjoy breakfast the Italian way; served at a nearby cafe. Vatican Holiday does not have a 24-hour reception. Upon arrival you are provided with keys to your room and the building so you can come and go as you please. Staff are very friendly and can arrange airport shuttle service, day trips, and ticket reservations. With free Wi-Fi, Hotel Aniene is in a quiet, green area of Rome, 10 minutes from Termini Train Station by Metro. All rooms include parquet floors and a 32-inch LCD TV with satellite channels. A varied buffet is served daily in the breakfast room. The multilingual front desk staff is always on hand and can provide valuable tourist information and recommendations. The Aniene is a modern hotel in the north of Rome, and takes its name from the nearby Aniene River, Rome's second river. The new B1 Metro stop Conca d’Oro is 100 yards away. Two buses stop right outside the hotel and connect you to the main station and central Piazza Venezia. Just a 5 minute walk from Termini Train Station, Palma Residence features rooms in 2 residential buildings, a 5-minute walk apart. Each room is air-conditioned and comes with free Wi-Fi and a minibar. Being so close to Termini means you have great bus, metro and train services. You also have services to both Fiumicino and Ciampino Airports. An Italian breakfast is provided at Rik's Café nearby. It includes a cappuccino and a croissant. On the first floor, rooms are reached by 1 flight of stairs. All rooms feature satellite TV and a private bathroom with hairdryer. Residence Palma features a bar and a 24-hour front desk. Here you can book city tours and arrange transportation if required. The Leon's Place Hotel In Rome is one of the most exclusive design hotels in Italy's capital city, located a 10 minute walk from Villa Borghese park and the famous Via Veneto. The spacious rooms offer luxury furnishings and a marble bathroom. In a historic building, Leon’s Place is in Rome’s business district, close to the main embassies and government buildings. Public buses are available in nearby Porta Pia, and provide services to Termini Train Station in about 10 minutes. The rooms come equipped with air conditioning, TV, and minibar. Many rooms have a beautiful view of the historic center. A varied breakfast is served daily. The hotel features a free fitness center and the Visionnaire Cafè, where you can enjoy drinks in a glamorous setting. The Romantica is a small hotel in the center of Rome, between the Basilica of Santa Maria Maggiore and Roma Termini Train Station. Rooms are large, and most have free Wi-Fi. 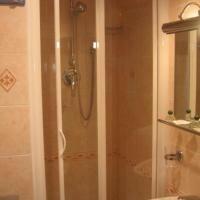 All rooms at Hotel Romantica include a private bathroom with shower and hairdryer, and a safe. The simple breakfast includes a bread, croissants, cereals, nutella and jam. The Colosseum is a 20-minute walk from the hotel. The area is full of restaurants and cafes. Crossing Condotti is in the historic center of Rome, close to Piazza di Spagna and the Spanish Steps. It offers unique accommodations on the first floor of a historic building, surrounded by monuments. All rooms of the Crossing come with parquet floor, tea/coffee maker, slippers and LCD TV. The building is surrounded by the most famous boutiques and renowned restaurants, bars and cafes of the Eternal City. Crossing Condotti is a true charming house offering soft tones, original wooden ceilings, and beautiful prints and paintings. The antique furnishings are from the owner's private collection. Hotel Vibel provides clean and comfortable accommodation with free Wi-Fi in the historic neighbourhood of San Lorenzo. Here you have many typical restaurants, bars, and pubs, plus great public transport links. San Lorenzo is renowned for its tradition and culture and is very popular with Roman people. Home to the biggest university in Rome, La Sapienza, it has a young and buzzing atmosphere. The Vibel Hotel features cosy guest rooms and a small terrace where you can enjoy the buffet breakfast included in the room rate. Guests can enjoy discounts at Rainbow MagicLand Fun Park. The friendly staff are available to give tourist information. You can catch a local bus to Termini Station in just a couple of minutes. La Piccola Maison is in one of the most elegant areas of Rome, the famous Via Veneto. The guesthouse is in a historic building of the 19th century. Rooms feature parquet floors and Venetian-glass lamps. The rooms include free Wi-Fi, air conditioning, and a flat-screen TV with satellite channels. Each room features a private bathroom, either in-room or external. The Maison features a refined and exclusive atmosphere. It is a few steps from major sightseeing spots and sites of interests, including the Spanish Steps, Trevi Fountain, the Pantheon and Villa Borghese. Set in one of Rome’s most elegant residential districts, Lt Rooms offers en suite rooms with a satellite TV, and free Wi-Fi. This guest house lies just 2 Metro stops from the Vatican Museums. Renovated in 2008, Lt Rooms is a short walking distance from bus stops and Valle Aurelia Underground on line A, which links you to Rome's city centre in about 10 minutes. The world-known Spanish steps are just 5 metro stops away. Rooms all fitted with parquet floors, while some feature balconies or views of the Eternal city. Breakfast is available at a nearby café. Scott House Hotel is in the center of Rome, next to Termini Train Station, for both lines of Rome Metro system. Its modern rooms come equipped with private bathroom and flat-screen TV with Sky satellite channels. This 3-star property has a very convenient location. The Coliseum is only 2 Metro stops away, while the Spanish Steps are around a 5 minute Metro ride. Buses to both airports leave from Termini Station. This guesthouse is in an elegant 19th-century property, right next to the Vatican Museums. A 5-minute walk from St. Peter’s Basilica, it offers rooms with free Wi-Fi. Rooms at Le Suite Di Via Ottaviano - Suite in Rome B&B have classic-style décor. They come with a free minibar, air conditioning and satellite TV. The property is located in Prati, a neighborhood in Rome which is popular for its traditional restaurants and good shopping. You have easy access to public transportation by both bus and metro. Just under a quarter of a mile from the EUR Fermi Metro Station, the 4-star Hotel Dei Congressi is in Rome’s EUR business and residential district. It provides free Wi-Fi and a varied breakfast buffet. The renovated rooms feature parquet floors, wood furniture and a work desk. Each one has satellite TV and a minibar. Restaurant La Glorietta specializes in Italian cuisine and international dishes, all accompanied by a glass of one of the finest Italian wines. Meals are served in a dining room, which is decorated in wood, or on the patio. The center of Rome can be reached via the Metro in around 15 minutes. The Dei Congressi Hotel is a 10-minute walk from the Palalottomatica sports and concert venue. Imperium Suite Navona offers unique designer rooms, in a quiet alley just 55 yards from Rome's Piazza Navona. Accommodation includes flat-screen TV, and there is free Wi-Fi at the front desk. Breakfast is American style, and includes sweet and savory products, both hot and cold. It is served daily in the comfort of your room. Navona Imperium Suite is an elegant apartment, in a historic building typical of Vicolo della Palomba. Both the Spanish Steps and the Vatican are a short walk away. Rooms at the Imperium suite are all air-conditioned, and feature parquet floors and a private bathroom with hairdryer. Superior rooms include a spa bathtub. 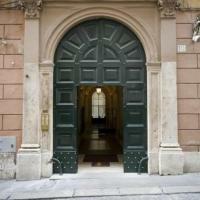 The Relais is on the 3rd floor of a historic building with views of Porta Flaminia, the entrance to Piazza del Popolo. Rooms offer elegant parquet floors and a wide-screen LCD TV. Rooms are furnished with unique furniture and fabrics made by skilled craftsmen. Each room features air conditioning, free internet, and a large bathroom with a hydromasage bathtub or shower. Breakfast is continental style at Relais Piazza Del Popolo. The early 20th-century building comes with video-surveillance devices and an elevator. The entrance of the building is in front of Flaminio - Piazza del Popolo Metro Station on line A, and at the terminus of tram line 2 providing services to the Auditorium. With luxury classic-style interiors and individually furnished rooms, Hotel Andreotti is in central Rome, a 5 minute walk from Termini Station. It offers free Wi-Fi and a rich breakfast buffet. Rooms are decorated with either classic or modern wood furniture and are all soundproof. Each features a satellite LCD TV satellite TV, and an electric kettle with free tea and coffee. At breakfast, you can enjoy a varied buffet including pastries and cake, along with savory food such as scrambled eggs and bacon. The staff is available 24 hours a day and can recommend local restaurants nearby. 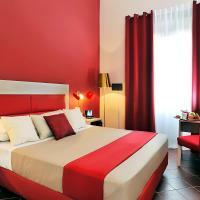 Andreotti Hotel is a 20 minute walk from the Spanish Steps and the Trevi Fountain. Buses and Metro from Termini Station connect you to all other areas and landmarks in Rome. This charming guest house is located in the delightful neighborhood of Monti in the heart of the historic center of Rome, 546 yards from the Colosseum and the Roman Forum. Monti House is set in a district which is very popular with the locals. Its narrow streets and small shops give it an intimate, village-like atmosphere. Choose from one of the many wine bars, cafes and typical restaurants. Start your day at Monti House with breakfast in the comfort of your own room. Explore the city, with many of the attractions just a short stroll away, including the Rome opera house. You can catch the metro just 109 yards away, which will take you all over the city. Discounts apply for longer stays. Offering luxury accommodations, attentive service and breakfast served in the comfort of your room, Casa Montani is set on the third floors of an 18th-century building overlooking Piazza del Popolo. Each room at Montani Casa features designer furniture, top-quality fabrics and a deluxe courtesy set. Rooms are air conditioned and soundproofed and come with free Wi-Fi and an LCD TV with Sky satellite channels. With such a central location in Rome, Casa Montani is a short walk from most attractions including the Spanish Steps a 10 minute walk away. Flaminio Metro Station is right next door, providing access to Termini Train Station and Vatican City. Piccolo Imperiale is set in Rome's Prati area, next to Castel Sant’Angelo castle. All rooms are air-conditioned, luxuriously furnished, and equipped with free Wi-Fi. Lepanto Metro Station, on line A, is a 5-minute walk from the Imperiale. There is a bus stop right outside the building. Rooms at the Piccolo Imperiale feature a private bathroom with shower. Breakfast is served in the room, and includes juices, tea, coffee, melba toast and jams. Sam Rooms is a small guesthouse where you will have free Wi-Fi internet, an Italian-style breakfast, plus affordable rooms. Manzoni Metro stop is 50 metres away. Sam Rooms are located in a historic building which has a garden. Rooms have LCD TV, minibars and air conditioning. The Basilica of San Giovanni is just round the corner from Sam Rooms. The Coliseum is also just a pleasant walk away. The 5-star Hotel D'Inghilterra is in the heart of Rome, 650 ft from the Spanish Steps and a few steps from Via del Corso shopping street. The Trevi Fountain is about a 5-minute walk away. 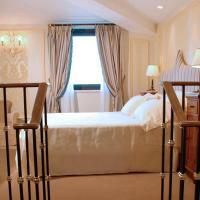 Rooms at the D’Inghilterra Hotel feature crystal chandeliers, antique furniture and marble bathrooms. Each is air-conditioned and includes a flat-screen satellite TV, minibar and safe. The all-day Café Romano Restaurant specializes in Italian dishes with a modern touch. Meals can be served outdoors. Italian coffee, drinks and cocktails can be enjoyed at the retro-British Bond Bar. Roman Holidays is a comfortable bed and breakfast near St. Peter's Cathedral and the Vatican City, a few minutes from the Vatican Museums and the Sistine Chapel. Ottaviano Metro on Line A is just over a quarter mile from the building. It has connections to the Spanish Steps, Trevi Fountain and Termini Station. The elegant rooms include free Wi-Fi, a satellite LCD TV and air conditioning. An Italian breakfast of cappuccino or tea and a pastry is served in a nearby cafe. Located on Via Nazionale, just 270 yards from Repubblica Metro, Flann O'Brien Rooms offers a welcoming, friendly atmosphere. It features an Irish pub, free Wi-Fi, and elegantly furnished rooms. The Flan O'Brien’s rooms are air conditioned and feature natural hardwood floors. Each has a minibar and satellite LCD TV with pay-per-view channels. The staff at the Flann O'Brien Guesthouse serve a varied lunch menu in the bar, including grilled fish, pizza and salads. Italian focaccia and pastries are baked on site daily, and in the evenings an appetizer buffet is available. The bar offers Irish, Italian and international beers, together with an extensive Italian wine list. Guests can also enjoy live folk music evenings in this popular Rome pub. Termini Station is 550 yards from the O'Brien Rooms. Both the Trevi Fountain and Piazza Venezia are a 10-minute walk away, and buses for the Vatican and Piazza Navona stop outside the property. Hotel Cressy is situated within the walls of the historic center of Rome, about 100 yards from Roma Termini Train Station, the city hub for all kinds of public transportation. Choosing guest house Cressy you will have easy access to all major tourist attractions like the Colosseum, Trevi Fountain, the Pantheon and Piazza Navona. These and many other landmarks will be easily available while enjoying a budget accommodation. The establishment is located on the 5th floor of a Liberty building, fitted with an elevator reaching the comfortable guest rooms. Cressy is family-run and the proprietor, signora Giovanna, will welcome you with traditional Italian hospitality, where guests are made to feel at home. Featuring free Wi-Fi in public areas and 24-hour room service, Hotel Contilia is just 650 ft from Roma Termini Train Station. Santa Maria Maggiore Basilica is a 3-minute walk away. All rooms have air conditioning and traditional furnishings. Satellite LCD TV and a private bathroom come standard in all rooms, and all but 2 also include a minibar. Breakfast is buffet style and drinks are available at the bar, which is open throughout the day. The attentive staff is on hand to give recommendations for nearby restaurants. Via Nazionale, a popular shopping street, is a 10-minute walk from the hotel. The Colosseum and the Trevi Fountain are both 2 stops from Termini. Offering rooms with free Wi-Fi and an LCD TV with free Sky satellite channels, Domus Castrense is an elegant B&B. It is in front of Rome's La Sapienza University, near the lively area of San Lorenzo. The property features minimalist rooms with hardwood floors and classic furniture. Each room has a private bathroom with shower. Breakfast is served in your room. Domus Castrense is a 15 minute walk from Roma Termini, the main public transportation hub and train station. The area offers many traditional restaurants. Enjoy the comfort of a modern residence set right on the main street of the elegant Prati area, only a few steps from the Vatican City and Saint Peter’s Basilica. Residenza Cola di Rienzo Suite In Rome B&B is located in one of the best districts in the world-famous historic center of Rome. Enjoy the hotel's the surroundings, which are filled with cafes, fashionable shops and the typical palaces of Rome. Thanks to Residenza Cola di Rienzo’s central position, you can conveniently explore the sights of Rome on foot. If you prefer, you can take the metro and reach landmarks such as the Spanish Steps, the Trevi Fountain and the Colosseum in just a few minutes. The residence is tastefully decorated and equipped with the latest amenities, including wireless internet and LCD TV sets with satellite channels. Professional and attentive staff are ready to assist you – on request, the residence can arrange airport pick-ups. 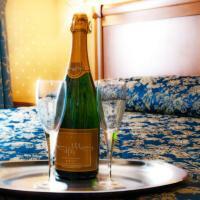 Set in Rome’s historic centre, between the Spanish Steps and Trevi Fountain, Eva's Rooms offers a personalised service. There is free Wi-Fi, and the elegant rooms are air-conditioned. Each of the rooms at this family-run guest house has a frescoed ceiling and is equipped with a TV and a safe. Breakfast is served in the comfort of your room or in the communal dining room. On request, Eva's Rooms can provide a shuttle service to Rome Fiumicino and Ciampino airports. Ave Roma provides elegant and quiet rooms with free Wi-Fi in the heart of Rome, near Piazza di Spagna, Piazza Navona, the Vatican City and the famous antique stores in Via dei Coronari. On the other side of nearby Tiber River, the impressive Castel Sant’Angelo offers views encompassing centuries of history. In such a location, Ave Roma will provide the quality, style and the attention to details letting you enjoy the most from your Roman stay. Appreciate the experience in the hotel industry of Ave Roma’s management: the owner grew up in the charming hotel Scalinata di Spagna, her father being the manager for over 30 years. The warm welcome provided by her staff aims at making your holiday pleasant, providing the same atmosphere of a luxury hotel.